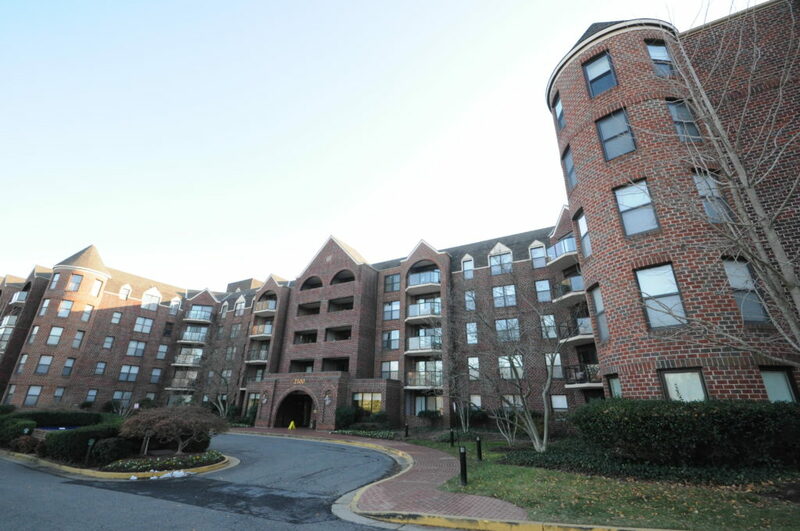 The Astoria Arlington Condominium in 2 sentences: The Astoria is located in the Courthouse neighborhood and despite being along Lee Highway, the community flaunts a grassy campus with great outdoor amenities like the outdoor pool and the tennis court. The layouts are a decent size and provide a solid option for those looking for convenience and amenities along the Orange Line. The Astoria is a mid-rise condominium community located on the northern end of the Courthouse neighborhood along Lee Highway. The community has 240 units on just six stories making it one of the shorter condo buildings in the Courthouse neighborhood. Built in 1987, it will have a architectural characteristics that were popular during that era. The first distinction about The Astoria’s appearance is the rounded turrets that can be seen from the exterior. Although maybe not as popular as some of the other features inside The Astoria, the turrets do give it a unique appearance; as well as a nickname. The Astoria is sometimes referred to as The Castle (or Hogwarts, although The Castle is much more popular). Inside the community, there are quite a bit of amenities that make it an attractive Courthouse condo. The layout of the community is more horizontal than vertical which results in a larger campus and better outdoor amenities. The outdoor amenities include an outdoor pool, a tennis court, a grilling area, and a large landscaped field. While the field is more of a visual amenity rather than a usable field for sport, it is nice to look out over a professionally-landscaped green space from your window. Other amenities include a fitness center, a garage, and a party room. The Astoria consists of studios, one bedrooms, and two bedroom floor plans. Studios will be 494 square feet, one bedrooms will be 721 square feet (there are a few floor plans that are 756 sq ft and 804 sq ft, but not many), and two bedrooms will vary between 910 square feet and 1,285 square feet. The layouts are decent size but they are not the largest in the area. Be sure to keep an eye on the number of bathrooms in the two bedroom Astoria floor plans. Some two bedrooms will only have one bathroom, while the largest floor plan has 2.5 baths. All one bedrooms and studios will have one bathroom. Inside these condos, you will find a mix of updated and original units. Carpet and outdated kitchens and finishes are commonplace. Updated units do come available but temper your expectations because it is tricky to find a completely renovated, turn-key condo at The Astoria. Many owners have held on to their units for a long period of time so when it comes to sell, the finishes are that of when they were first purchased. This could vary by unit, but it is something to keep in mind as you tour the community. Another feature you will notice throughout the one bedrooms is the serving window in the kitchen into the dining/living area. Most of these have been opened up quite a bit to introduce an open layout. Most of the one bedrooms are the same layout, or are the same floor plan, but flipped. As you walk into the one bedroom floor plans, the kitchen will be immediately on your right or left and open up to the living room with a balcony, sun room, or patio/terrace extending off the living area. All floor plans at The Astoria including studios and two bedrooms will have an extra space off the living area. The more coveted floor plans have an outdoor patio on the quiet side of the building, which is the side facing the green courtyard area on the backside of the building. The two bedrooms will feature kitchens that are a little bit larger and these layouts will also include a dedicated dining space. There will be a little bit more variety in the layouts of the two bedrooms compared to that of one bedroom condos at The Astoria. As noted before, The Astoria condo is more horizontal than vertical resulting in longer hallways than usual. This is one of the downsides of living at The Astoria. One thing to remember is that there is a shortcut to Metro inside the community. Instead of going out the front door, you can walk out the back entrance and take the trail up to Uhle Street which will lead you up through a parking lot to Wilson Blvd and then to the Courthouse Metro. This leads us to walkability, which is not the best at The Astoria Arlington. That being said, there are a few recent developments that have increased the walkability for residents of the community, most notably the opening of MOM’s Organic Market across the street from the condominium. Previously, the closest grocery store had been the Rosslyn Safeway that was .6 miles away. Now that’s not too far away, but if you have ever been to that grocery store, a new grocery store to the neighborhood is a welcomed addition. The price point at The Astoria is going to be a bit better than that of comparable buildings like Woodbury Heights and like The Belvedere. That will come down to two main reasons: location and slightly smaller floor plans. The Astoria has potential. It is not in the greatest location. It does not have the most updated units. What it does have is solid floor plans, great amenities, and significant development happening around the community. If you have the vision to turn your condo into something a little more updated, it can pay off in the future. The Astoria is a great option for those that are tired of the high-rise condos, yet still want all the amenities and the convenient location.